There is some (small) evidence that some animals can actually predict earthquakes. In this story, which appeared in Analog in 2010, a seismologist's dog has that ability. The seismologist, understandably enough perhaps, feels both intimidated by his dog and to some degree in competition with him. The story appeared in the November 2010 issue of Analog Magazine. In this story, strange creatures are mysteriously delivered to a small zoo. The label on the crate says the animals are bunyips. The head zookeeper tries to figure out what bunyips are, where they came from--and why they wound up at his zoo. 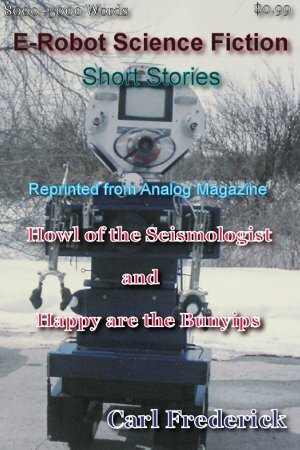 The story appeared in the December, 2010 issue of Analog Magazine.